This post may contain some awesome recommendations that are affiliate links (they are noted with an asterisks). Whether you are trying to add some money to pay the bills or wanting to build a residual income to upgrade your lifestyle, blogging is one of the best ways to build a secure passive income. Before I show my formula for launching blogs that get a ridiculous amount of visitors, let me quickly share with you my path to becoming a blogger. In my twenties, I found early success as an entrepreneur. Unfortunately, everything began to unravel shortly after my 28th birthday. 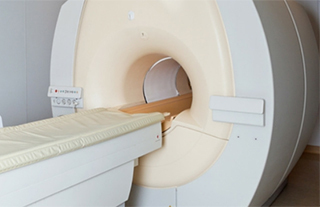 A small secreting pituitary brain tumor was silently destroying my brain and body. Six years later, the doctors found it while doing MRI scans of my brain. At that point, I had spent nearly four years being mentally and physically disabled. 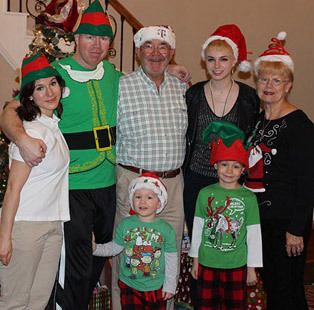 Everyone I knew, except for my new wife and parents, had pretty much written me off. After six months of experimental medicine, my mental capacity was restored. Shortly there after, my wife was diagnosed with stage 3 breast cancer. To make matters worse, she was five months pregnant with our first child. 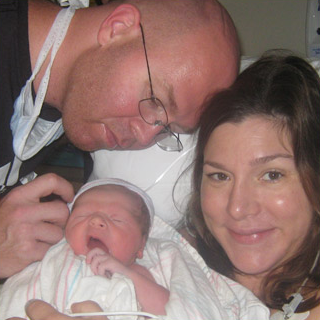 The experimental medicine had allowed me to be there for my wife and unborn child when they needed me the most. The battle was tough, but we came through it together. Three months later, Grayson Burke Gaille was born healthy and strong. On December 23rd, of that same year, we were given an early Christmas gift. My wife, Natalie, was cancer free. It took another three years before I was healthy enough to start a business again. This time I wanted to build something that had passive income. I needed an income that would continue to be there in sickness and in health. I decided a blog was the best way to achieve that goal. Before I launched my blog, I spent six months studying the most successful blogs across every industry. From my extensive data analysis, I built a blogging system made up of a unique combination of proven strategies. Within four months after my first blog post, my blog had surpassed 100,000 monthly visitors. Less than 14 months later, there were over 1 million people reading my blog every single month. The blog continues to grow. Last month, it received over 2 million monthly visitors. My blog has allowed me to secure an incredible income source, which has given my family financial security. That income will be there no matter what happens to me. My blog makes money 24 hours a day, whether I post daily or monthly. I am able to work from home, travel whenever I want, and not miss a moment with my two young boys. Today, I am going to show you a simple process for launching a top notch blog in less than 20 minutes. Then I am going to share my secret blogging tactics that are responsible for the tremendous success of my blog. By the time you finish reading this post, you will have everything you need to pave your own path to financial freedom. Before I reveal my secret strategies, let’s get your blog up and running. The backbone of every blog is the content management system (CMS) and hosting. WordPress is hands down the best CMS, and Blue Host is the top WordPress host. If you use something else, then you are condemning your blog to failure. To set up your new WordPress blog, along with the hosting, click here to get started. Then follow my simple step-by-step tutorial, and I will have you up in no time at all. By setting up your blog with my special link, you will be able to get an exclusive discount. This will allow you to start your blog for less than $4 a month. I recommend signing up for one full year. This will lock you in at the special rate, and you will get your domain name for free. The great thing about this is that there are no contracts. You can get a refund at any time (even after 11 months). Alright… let’s get started so you can officially get your blog up in the next 20 minutes. If you have not opened the WordPress and hosting setup page yet, then click here to start the process. 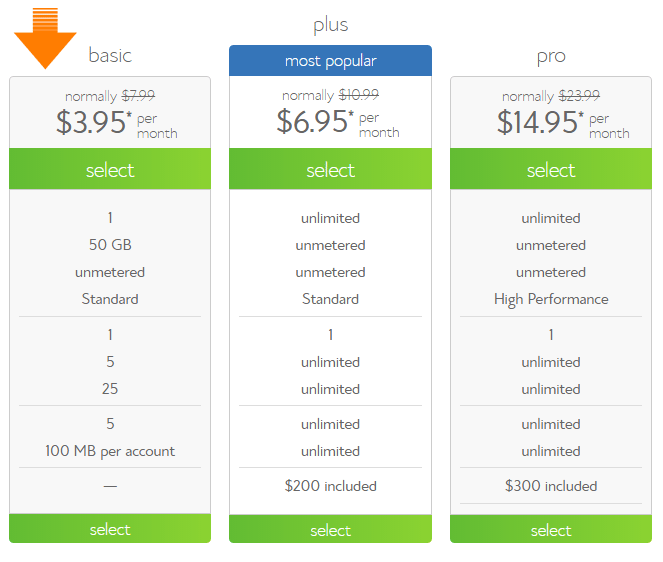 I suggest that you choose the basic package for your blog’s hosting. This package is going to give you everything you need to launch your WordPress blog. Do not spend too long thinking about the perfect domain name. The name of your domain really does not matter. My proven tactics and what you write in your posts will turn your blog into a success. The most important thing is that you get your blog launched. This will allow you to start your journey to financial freedom today. If this is your first blog, then try using your full name for the domain. You can also add “blog” to the domain name if your name is not available. Once you choose your domain name, you will be taken to the account setup page. From there, you will be able to choose the account plan that is right for you. The longer you lock in, the bigger the discount. I recommend starting with 12 months. That will still give you a 30%+ discount. The great thing about using Blue Host is the one-click install for WordPress. Many other hosting companies do not offer this, and you have to pay someone to set everything up. With Blue Host, it is all automated and super easy. The old days of having to pay a web designer thousands of dollars to make your blog look professional are all but over. In a matter of two clicks, you can activate a premium WordPress theme that will make your blog design look amazing. Out of thousands of themes, there are three that have the fastest load times. Newspaper is one of them. The design and layout of the Newspaper theme will make your blog look like you paid $20,000 to get it professionally designed. It also has a one click demo install. This means you do not have to spend anytime setting up your home page and post layouts. 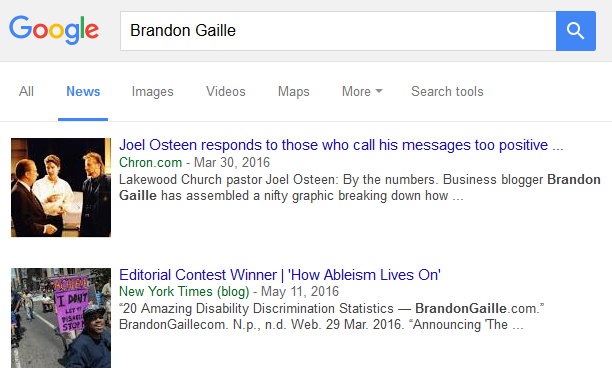 By the way, BrandonGaille.com uses the Newspaper theme. Although you can start with a free theme, I highly recommend that you invest the $59 for this incredible theme. 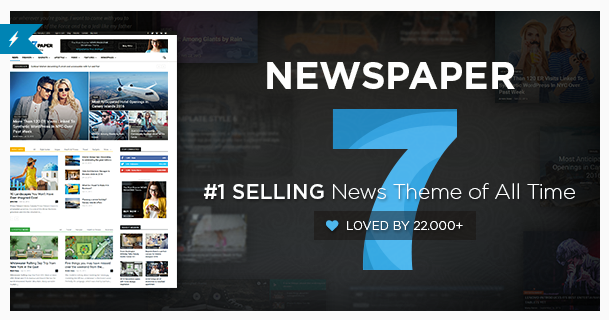 The Newspaper theme will easily make back your money 100 fold within the first couple of years. As I mentioned earlier, I spent six months crafting my blogging system. This system propelled my blog to over 100,000 monthly visitors in the first four months. Today, my blog gets over 2 million monthly visitors. Over the last three years, I have continued to perfect my blogging formula. 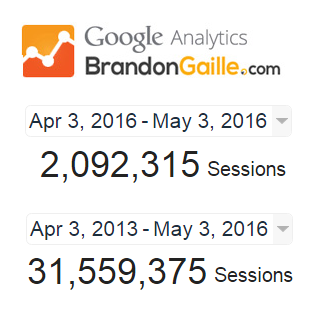 Here’s a snapshot of a single month of sessions from my Google analytics account. I want you to see it so you know I am not making this up. Since you are just starting out, a session is the analytics term for a website visitor. There are three vital strategies at the foundation of my blog’s success. If you only mastered these three areas and never read another post on blogging, then you would be on your way to blogging prosperity. This is because these three strategies will help every blog post you write rank high on Google. The Click Through Rate – The more clickable your blog post title is, the higher you go up the rankings. The Average Amount of Time on Post – If you you can get someone to stay on your post longer than the competition, then you will move up the Google rankings. The Number of Authority Websites Linking to Your Blog – When top-notch sites link to your blog, then every single post goes up in the rankings. There is no other traffic better than Google, and my three core strategies will help you get loads of it. I have spent hundreds of hours testing titles and studying the analytics to find the type of blog titles that consistently deliver big time traffic. The results of all of these tests led me to create the perfect blog title formula. I will share it with you first, and then break down each component that makes it special. People that perform searches on Google love to click on results that begin with a number. This is because these posts are usually made up of lists of tips that are easy to scan. Besides my tests, other companies have proven that the numbered headline stands alone at the top of the mountain. Take a look at the results of the Conductor study to see what I am talking about. 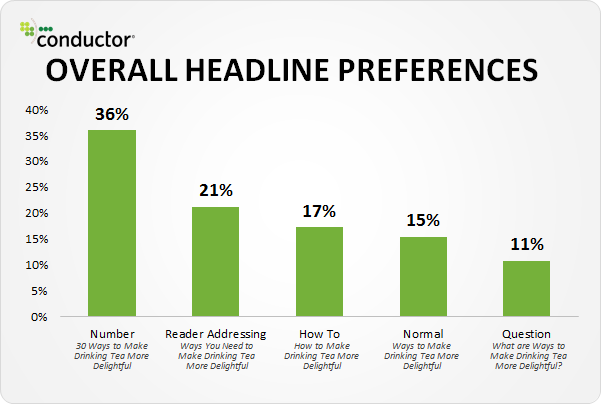 The Content Marketing Institute shared their findings of testing over 150,000 titles, and they identified the odd numbered headlines received even more clicks. If you take a look at most Google search results, then you will see that the numbered titles dominate the rankings. A superlative is also known as a power word. Two of the all-time greatest power words are best and free. Take a look at the two titles below to see how the power word, paired with the number, makes one title more clickable that the other. Here is a list of 180 power words that will give you an arsenal to choose from.. 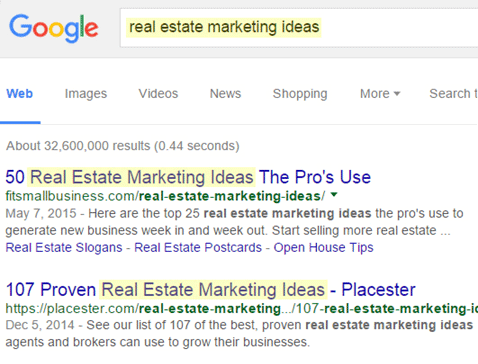 If you are trying to rank for “real estate marketing ideas” on Google, then you want to use that exact keyword phrase in your blog title. 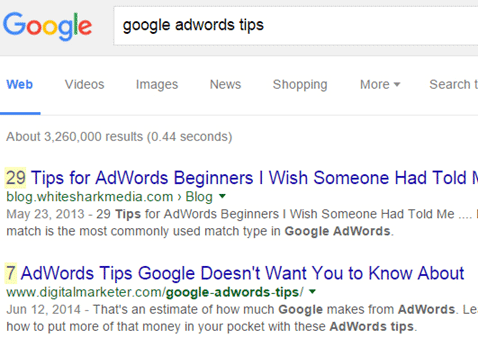 Google tends to rank posts higher that have the exact phrase in the title. I recommend that you use the perfect title formula for at least 50% of your blog post titles. In addition to Google, this formula also delivers the same kind of results in Pinterest. Now that you have mastered the post title, let us move onto the content that will make up your post. Your content needs to grab their attention, pull them in, keep them reading, and make them want to share it with everyone. Because the average attention span of human beings continues to decrease, it is vital that you make your blog an engagement machine. 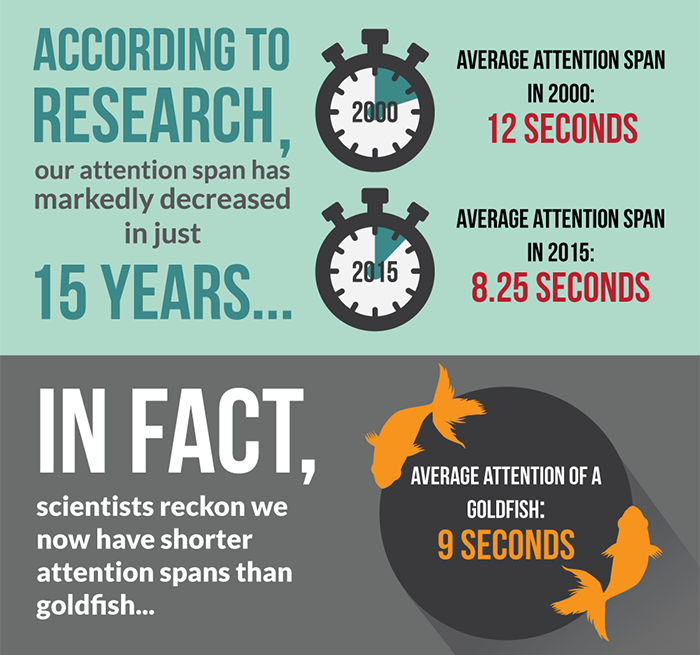 Take a look at the actual stats on the average attention span of human beings compared with gold fish below. Here is my blueprint for maximum engagement.. The short simple paragraphs pull readers into the posts. If they see a really long paragraph, then they are going to get intimidated and leave. I even use an occasional one sentence paragraph to increase the flow of the post. Half of the people that come to a post will start with the first sentence, and the other half will scan through your headings. Try to turn each heading into a standalone title. This will drive the scanner into reading that section of the post. 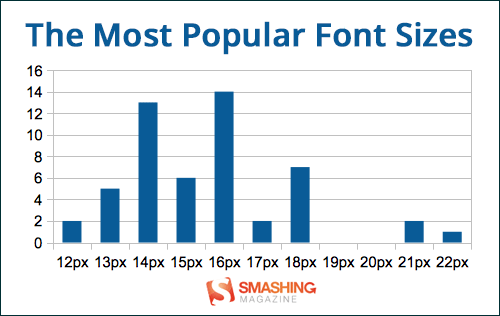 More than 80% of the top blogs and websites use a font size that is in this range. The larger fonts make it easier to read, and it increases the perceived reading pace. Remember all those books you had to read in high school. The books that used small fonts seemed to take forever just to turn one page. The same psychological concept applies to blogs. Instead of turning the page, your readers are scrolling down with their browser. This is the space between each line. The white space between your lines make the words easier to read. Just like with larger fonts, the increased line spacing improves the reading pace. There is reason why 99.9% of every book published has used black text on a white background. It is the ideal contrast for reading. If you want to spice up your blog with colors, then please do it in your logo and footer. These five simple formatting adjustments will make a big impact on the engagement rate of all of your posts. The famous quote about “a picture being worth a thousand words” is actually spot on when it comes to blog posts. The Balcom Agency took the time to find out exactly why pictures are so valuable. These five statistics below will show you why you need visuals in blog posts. Using embedded visuals in your posts will save you time and money. Do not waste your hard earned dollars on stock photos. These photos are expensive, and they add very little value to your blog posts. Here are the three sources that I get the majority of my visual content from. YouTube is filled with videos on every type of topic that you could imagine. I recommend using one or two videos in your posts. Make sure they are directly related to the content that you are writing about. The videos with the best engagement tend to be between three and twenty minutes long. 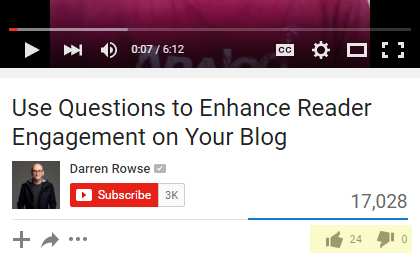 Also, try to choose videos with a good thumbs up to thumbs down ratio. If you type your post topic into a Twitter search, then you will be given hundreds of great image tweets. When you click on a tweet you are given the option to grab the embed code to use in your blog post. Your readers will be given high quality relevant images, and the image can be retweeted directly from the post. By using Twitter image tweets, you can embed unique pics like this one..
Or charts and graphs with great statistics..
Or a cool quote from a thought leader.. The Visual.ly community section is filled with tens of thousands of infographics that you can embed directly into any of your blog posts. A strategically placed infographic at the end of a blog post can increase the number of social shares by over 400%. 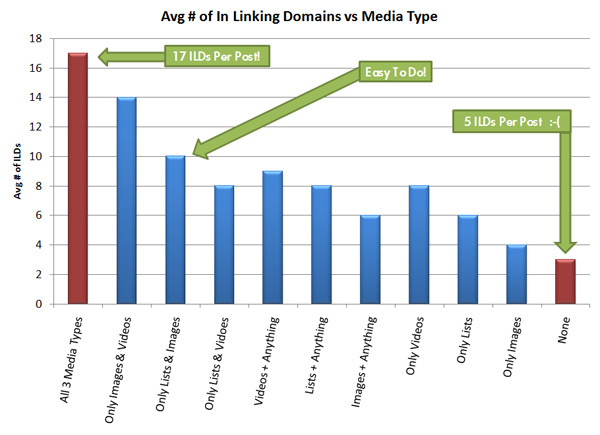 In addition to the increased engagement, blog posts that use both images and videos get 340% more inbound links. A long form article is a piece of content that has at least 2000 words. Those short 500 word posts may be easier to write, but they are never going to get you traffic. Take your time and go the extra mile. Here are the stats that will make you think twice before publishing a post with a mere 500 words. Google loves long form content. 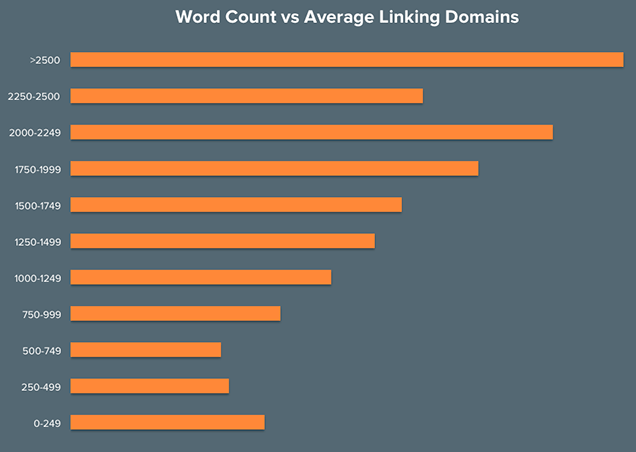 The chart below shows the average word count of the top ten spots in Google. Even position number ten averages over 2000 words. The longer your posts are, the more backlinks you are going to receive from other websites. 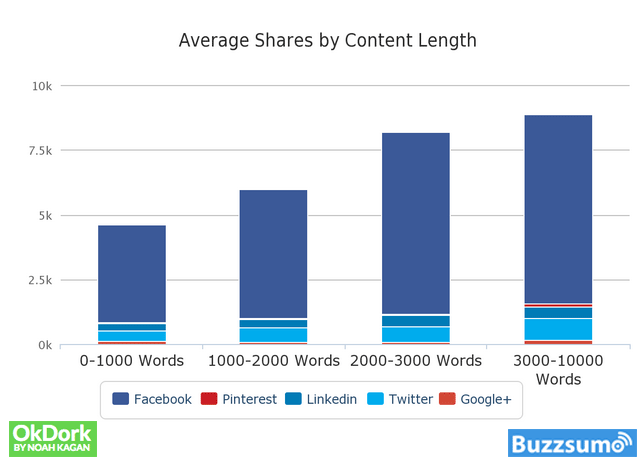 As you can see below, there is a big jump in social shares at the 2000 word mark. It is even higher when you cross 3000 words. I am not saying that every post needs to be over 2000 words. There are going to be posts that do not need that much content. A good example is a recipe post. Food bloggers get 90% of their traffic from recipe posts. Most of these are between 300 and 600 words in length. The best practice is to do a Google search for the topic that are planning to write about. 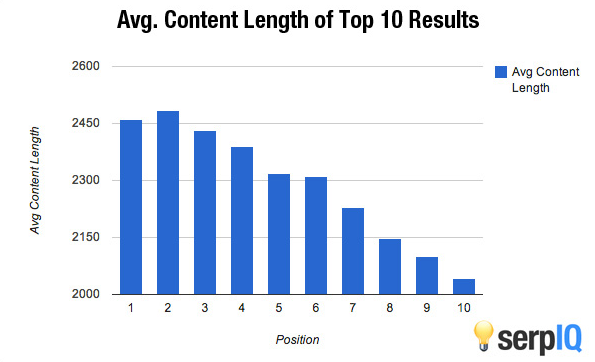 By looking at the top three ranking posts, you will see how much content you need to write. The key to getting a top Google ranking is usually just going one step further than the competition. Over the years, the Google algorithm has changed dramatically. Even with all the changes, inbound links are still the number one influencing factor for ranking on the first page of Google. If you can get more quality sites to link to your blog, then every single post on your blog will move up higher in the Google rankings. I need to emphasize that only quality links are going to make a difference. So, do not waste your time with directories, automated programs, or paying someone money to get links. It is all about quality not quantity. I have seen my blog soar up the Google rankings from just a couple of high quality links. There are two techniques that I use to build quality backlinks. The first is going to be one you have seen and probably heard of. The second one comes from my secret vault, and it will surprise you. Those long form list posts are the perfect candidates for infographics. For example, I wrote a post on the 25 Ways to Get Highly Engaged Instagram Followers. It was the perfect candidate for an infographic, and I spent a couple of hours making it happen. By posting it on the right websites (which I will tell you about shortly), the post was able to receive 3839 social shares and 14 high quality backlinks. This is the reason why the infographic is the number one link building tactic used by big marketing firms. 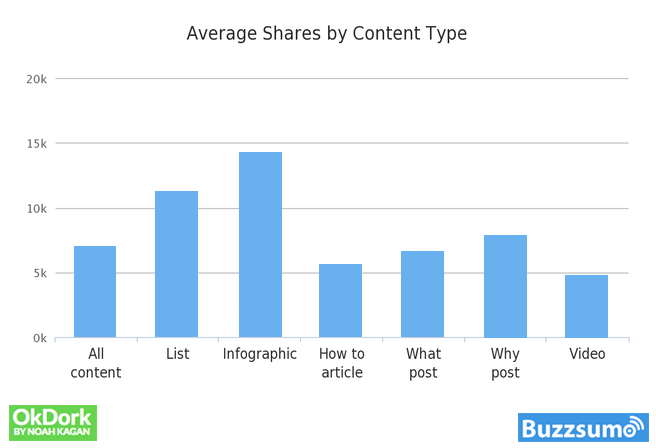 On top of being a link magnet, infographics get more social shares than any other type of content. 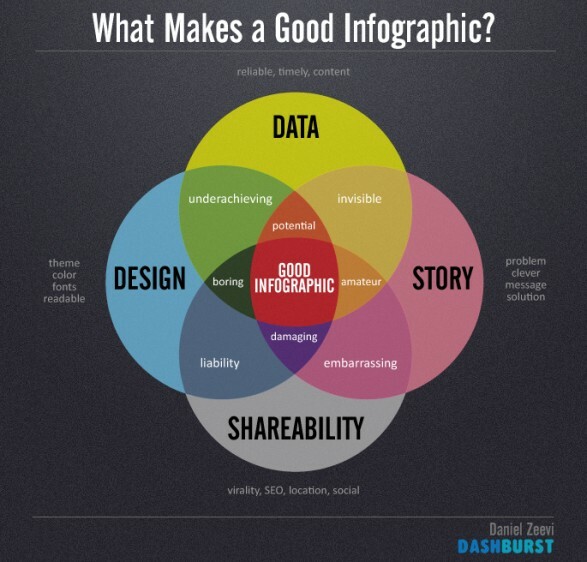 There are four key components that allow infographics to spread their wings and fly. No matter how great the design is, an infographic with poor content will never get linked to. An inferior design will also hold back the potential success of exceptional content. I advise that you choose only your best posts to create infographics on. Instead of trying to create an infographic from scratch, go to Canva.com and use one of their infographic templates. Most of their templates are completely free, and all you need to do is drop in the content. There are many bloggers that try to pump out weekly infographics, and they are almost always wading in mediocrity. Just aim for one exceptional infographic each month. If that is still too much of a workload, then make a goal of one infographic every other month. You want to have some time left over for promoting your infographic via email outreach. Brian Dean of BackLinko created this strategy, and it works like a charm. Basically, you make a list of other bloggers who write about content similar to your infographic. 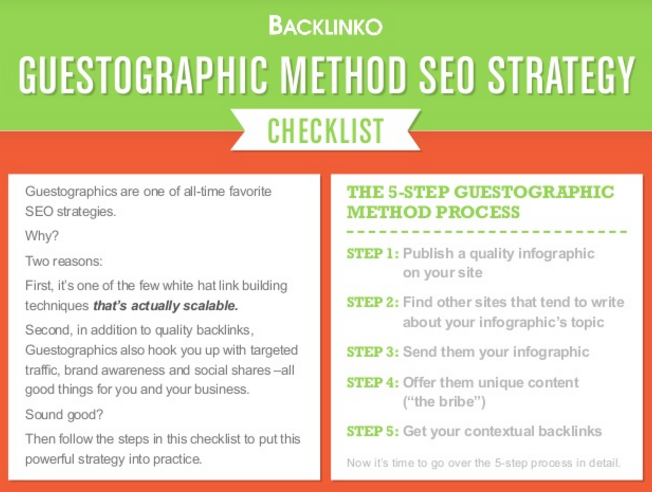 Then you email each blogger offering to write a unique 300 word summary that can be paired with the infographic. This eliminates any extra work the blogger has to do when using your infographic for a post. Here is Brian’s five step process. Bloggers are always looking for infographics to use on their blogs, and they go straight to three places to find them. The first place is the Visual.ly community section. You will want to create a free account and upload every infographic you make to Visual.ly. The next community is Reddit. They have a specific subreddit that is dedicated to infographics. This section is scoured everyday by bloggers. The final place to post your infographics to is Pinterest. Bloggers perform specific searches for infographics on Pinterest, which always includes the phrase infographic. By adding [Infographic] to the end of the post title, you will be able to get your infographics to show up in these Pinterest search results. For example, the title of your infographic post would look like this.. This may seem like a bunch of work, but just a couple of quality backlinks can triple your blogs traffic in a matter of weeks. Almost every marketing person worth their weight already knows about the power of infographics, but there are only a handful of people that know about my secret technique for passively obtaining backlinks. Reporters use Google for research just like we do. The vast majority will specifically use Google to find statistics that they can use in their articles. By consistently writing statistics posts, reporters are constantly coming across my posts during their Google searches. If they end up using one of my statistics, then they will link back to my statistics post as the source. For these posts, I use my perfect title formula that I went over earlier (Odd Number + Superlative + Exact Keyword Phrase). If I am trying to rank a post on Google for the phrase “Instagram statistics,” then my title might look like this.. 31 Incredible Instagram Statistics. Reporters are working on a deadline, and they do not have time to read through my post to find each stat. I break up my statistics into sections based upon the subtopic. I include 7 to 12 statistics in each section. Each of these statistics are listed out with bullets. This makes it super easy for reporters to scan through them and find the perfect statistic for their article. Underneath each set up bulleted stats, I write a 300 to 400 word opinion piece. This increases the word count of the post, which we already know is vital to ranking high in Google search. Before I sit down to write my statistics post, I scan through the first 30 Google results for the keyword phrase I am wanting to rank for. Specifically, I look for the post title that has the largest number. If the largest numbered title is 24 Cool Instagram Statistics, then I am going find at least 34 statistics. The reporters are naturally drawn to the post title with the largest number of statistics. This leads to more clicks and higher Google rankings. I recommend that you identify every type of statistic related to the topics you cover on your blog. Then come up with a plan to write at least one great statistics post every single month. In the past couple of months alone, I have received a backlink and mention from two of the world’s largest newspapers (New York Times and Houston Chronicle). Almost four years ago, I decided to dedicate six months of my life to studying the most successful blogs across every industry. Over 180 days, I successfully reverse engineered the top performing tactics of 73 blogs. I ranked every tactic by the overall impact it had on Google rankings, social shares, and backlinks. Then I got rid of the bottom 80% of these tactics. I was left with only the best of the best, and that is what I built my blogging system upon. In the past three years, I have continued to perfect my system. This has included analyzing billions of data points from over 40 million visitors. This post that you are reading write now is not a post. It is a map. I implore you to print this map out and treat it like a real treasure map. The treasure that you will find is the passive income that comes from your blog. It is the best kind of treasure because it makes money while you go on vacation, workout, and even when you sleep. Before I wrap it up, here is a simple summary of the nine big action items that will make your new blog take off and have unheralded success. If someone tells you that there is a way that you can get rich quick, then walk away before they steal your money. To be a success at anything, it takes a combination of hard work and following a proven path. I have shown you my path that has produced over 2 million monthly visitors and a life of financial freedom. Now it is up to you to put in the work and change your life. So, take action now, by setting up your WordPress blog and making the most out of this great opportunity. Click here to get started. 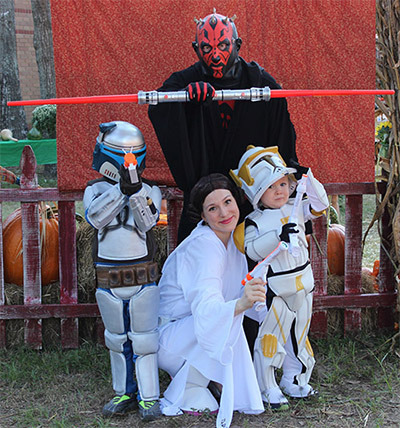 And… May the force be with you.